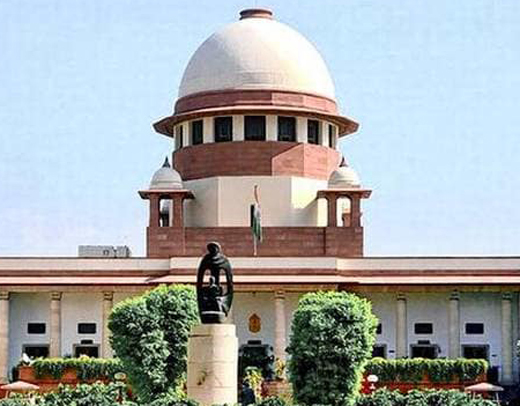 New Delhi,Jan 12, 2019 : In its final report, the Supreme Court-appointed Justice HS Bedi committee has dismissed the allegations regarding “selective elimination of Muslim extremists” in Gujarat during 2002-2006 when Narendra Modi was the chief minister of the state, News18 reported. The former judge of the Supreme Court has submitted his final report as the chairman of the monitoring committee, which was tasked to investigate the encounter killings in Gujarat between 2002 and 2006. The report rejected the representation made by former DGP of Gujarat RB Shreekumar, who alleged that the state administration was complicit in the targeted killings of Muslims and that oral instructions had come from the state authorities to selectively kill Muslim extremists in fake encounters. Shreekumar, who was the Additional DGP of Armed Units in Gujarat during the Godhra incident and was the Intelligence DGP in 2002 during the riots that took place subsequently, filed two representations before the committee and also appeared in person to record his statements. Shreekumar averred that he chose to defy the oral instructions of killing Muslims and therefore, he was denied promotion to the post of DGP by the state government. He also cited resignation letter of former Gujarat DIG DG Vanzara, talking about the “encounter police” that followed the state government’s orders. But the committee headed by Justice Bedi found no cogent materials to support Shreekumar’s claims. “The representations and statements made by …are general in the nature and relate to administrative decision taken which he did not agree with, and which had led to his victimisation at the hands of the government. The issues raised with regard to selective elimination of Muslim extremists are, however, not borne out from the record,” stated the 229-page final report. Justice Bedi also emphasised that “circumstances belie the allegations” since the victims of these encounter killings in 17 cases belonged to various states, including Uttar Pradesh, Uttarakhand, Bihar, Kerala and Maharashtra, and also to various communities. “And the only common feature amongst most of them was the element of criminality of varying degrees and levels,” maintained the committee. It held that the contentions raised by Shreekumar are “not relevant” in so far as investigation into deaths of 18 persons in the encounter cases are concerned. Of 17 cases probed by the committee, the Gujarat police got clean chit in 14. The committee held that there was nothing substantial in these cases to recommend actions against the police personnel for carrying out encounters. In the remaining three, the committee has recommended trial of police personnel under murder charges. These three victims of sham encounter are — Kasim Jafar, Sameerkhan and Haji Haji Ismail. The police personnel against whom the committee preferred prosecution are up to the level of inspector. The final report was submitted by Justice Bedi in the Supreme Court in February 2018. It was this week when the bench headed by Chief Justice of India Ranjan Gogoi ordered that the copy of the final report should also be given to petitioners, veteran journalist BG Verghese and lyricist Javed Akhtar. Verghese and Akhtar, through separate petitions, had moved the Supreme Court in 2007, requesting investigations into all the encounter killings in Gujarat between 2002 and 2006.